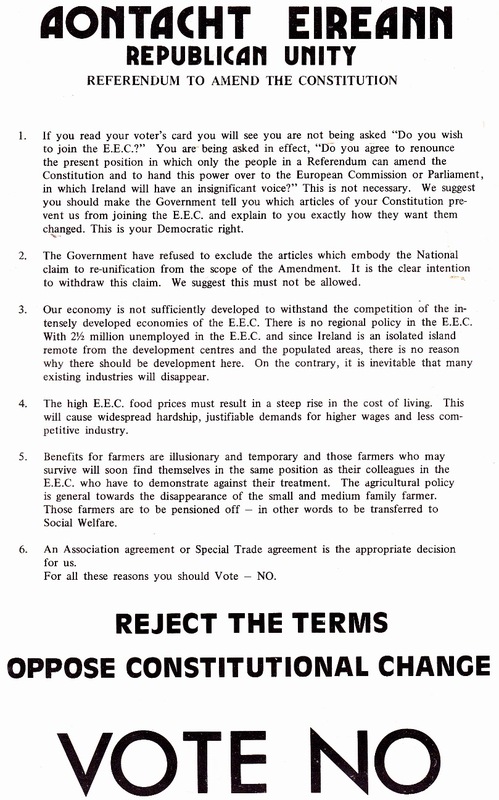 From the 1972 Referendum on entry to the EEC a leaflet and poster from Aontacht Eireann urging a No vote. 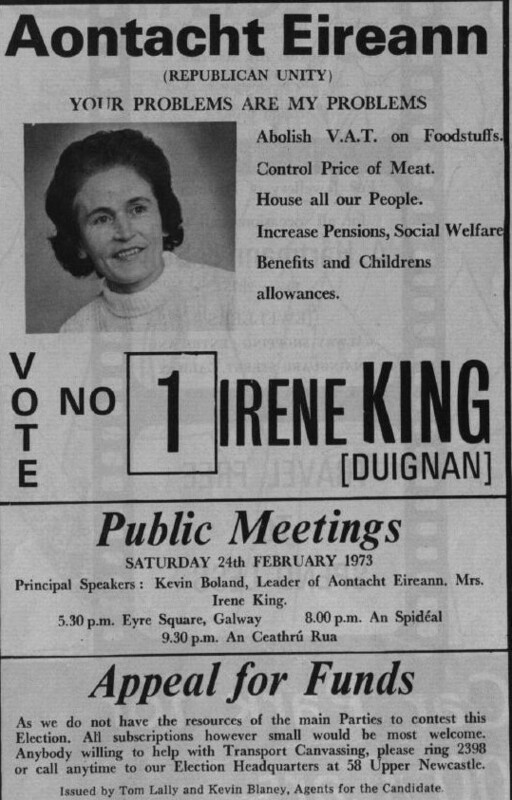 From the 1973 General Election an Ad for Irene King the Aontacht Eireann candidate in Galway West. The Ad refers to a rally to be addressed by the late Kevin Boland. Its interesting that the Troubles or the North are not mentioned in the Ad. Instead its prices and benefits. I’ve also included a profile of the candidate which mentions the role of her Father in the war of Independence and Civil War as well as the impact of it. Irene King polled 416 votes. Aontacht Éireann was founded in 1971 after Kevin Boland resigned from Fianna Fail in protest at the dismissal of Neil Blaney and Charles Haughey as well as Party Policy on The North. They Fielded 12 candidate (according to wikipedia) in the 1973 General Election but failed to win any seats. Boland resigned as leader in 1976 and the party was wound up in 1984. Ad taken from the wonderful Galway Advertiser site.